My Kids Stole My Brain: One of my FAVORITE Halloween traditions! In case you're not familiar, it's "sort of" like the Halloween version of Secret Santa. One neighbor puts together a fun little (or big) treat basket, a BOO poem, BOO instructions and a BOO sign and secretly delivers it to your doorstep! The lucky BOO recipient then tapes the sign to their door, letting others know that "WE'VE BEEN BOOed!" That way no one gets BOOed twice! Before you know it, the whole neighborhood has been BOOed! 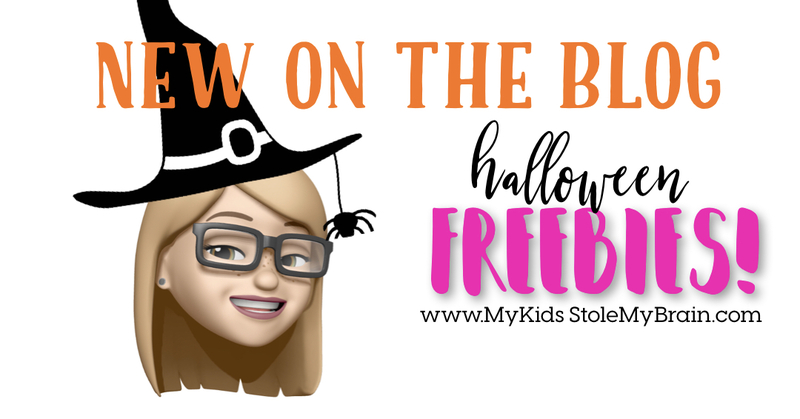 It's a super fun way to get into the Halloween SPIRIT! I've done all the design work for you! All you need to do is print these FUN FREEBIES & you're on your way!